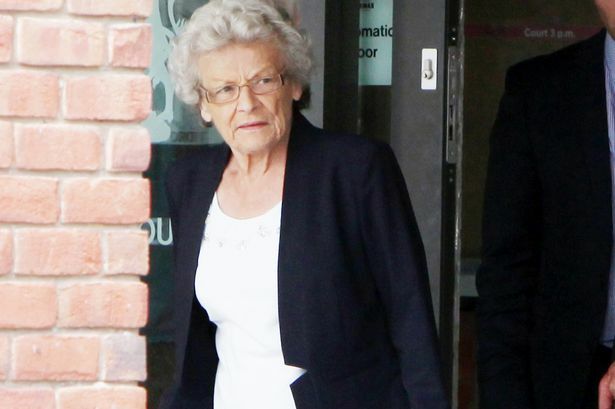 A widowed pensioner who caused a head-on crash that left two young children fighting for their lives was today spared jail. Margaret Lowery’s Vauxhall Corsa veered into the wrong side of the road and mounted a grass verge before slamming into a Rover 25. Darren Handyside and his two children, Jack, 10, and Sophie, eight, were left with horrific injuries following the smash on September 29 last year on the A688 road near Staindrop, County Durham. Lowery, 79, from Sandford Court, Sunderland, had been driving erratically in the lead-up to the crash and when questioned was unable to explain what had happened. She emerged “virtually unscathed” and told detectives she had “felt light-headed” but had no recollection of the crash. During a sentencing at Teesside Crown Court today prosecutor Adrian Dent said the accident caused “devastating damage to Mr Handyside’s vehicle” and said it was a “miracle that nobody was killed”. But Lowery’s barrister, Mark Savill, told the court that given the chance she would “not hesitate in taking the pain and suffering that Mr Handyside and his children had suffered upon herself”. Suspending a 15-month sentence for two years, Judge Tony Briggs told Lowery: “The tragedy of this case is the catastrophic injuries caused to Mr Handyside and his two young children. Widowed grandmother Lowery, a former bank worker and shop assistant, entered a guilty plea to one charge of dangerous driving last month. 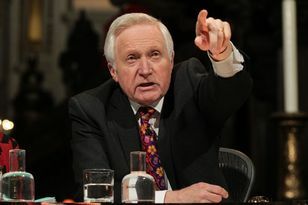 Through her barrister, Mark Savill, she offered an apology to Mr Handyside and his two children. Mr Savill told the court Lowery, a WI member who had held an unblemished driving licence for fifty years, had surrendered her documents and had no desire to get behind the wheel of a car again. He said: “She offers an immediate and sincere apology for the affects of this case. Lowery had her driving licence disqualified for life.